The jackfruit has a high amount of carbohydrates and calories, but is very low in fat content. The simple sugars contained in the jackfruit such as fructose and sucrose are easily digested by our bodies and come from a category that is called “Slowly Available Glucose” or “SAG”. The glucose is released in a slow and restrained way. 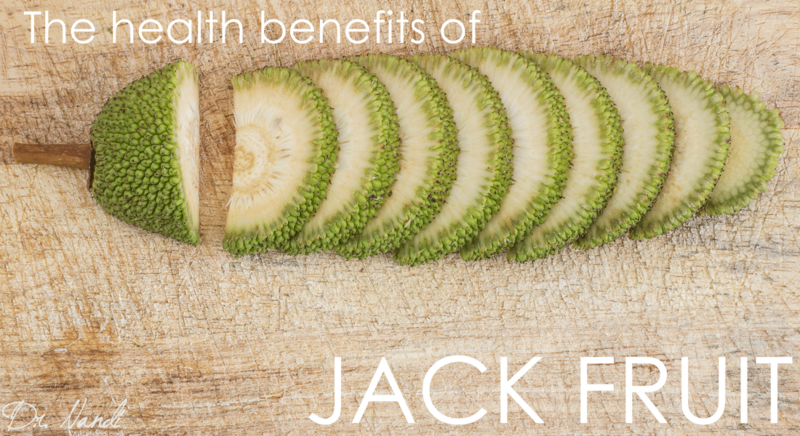 This aids in reducing the glycemic index of the jackfruit. Because of the low glycemic level, diabetics who suffer from sugar spikes and high sugar levels can eat the jackfruit without worrying too much about their glucose levels. Nutritionists recommend everyone who consumes jackfruit to take into account the higher caloric level and reminds people to have some physical activity. 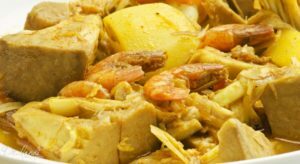 Researchers have found that the jackfruit is high in fiber with 1.5 grams of fiber per 100 grams of serving which is considered to be an excellent source of fiber. The fiber is a significant amount of roughage. The dietary fiber found in the jackfruit has a laxative effect that adds bulk to stools and helps to soften them up. 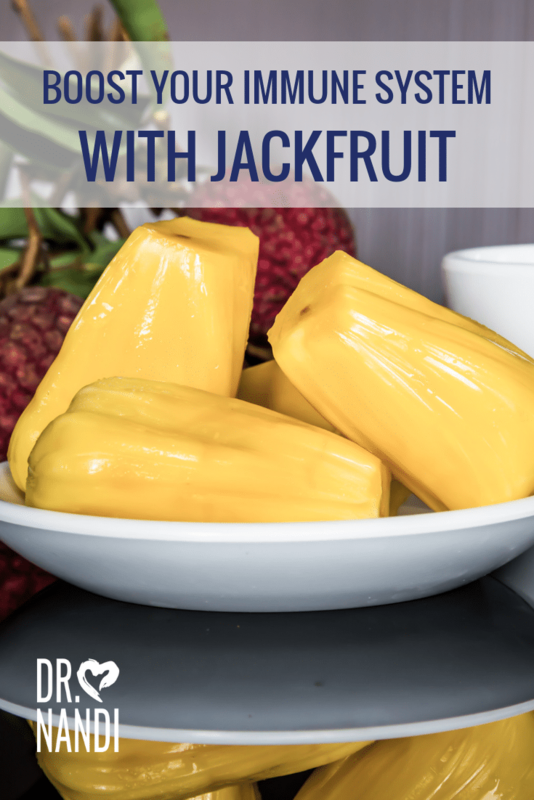 Studies have found that the jackfruit and its fiber helps to make it easy for your body to push the stools through the intestinal passage which improves digestion and helps to prevent constipation. The fiber helps to keep the tracts clean and reduce buildup in the intes Research shows that the jackfruit contains both soluble and insoluble fiber. 25% of the total fiber is soluble fiber which is digested in our body and provides energy. Studies have shown that the jackfruit is an excellent source of vitamin C which is known to help the body against viral and bacterial infections. The vitamin C aids the immune system by strengthening and supporting the white blood cell function. One cup of jackfruit can supply the body with 20% of the daily recommended allowance. Not only does the jackfruit contain a good amount of vitamin C, but it also is rich in phytonutrients. Found in the jackfruit is lignans, isoflavones and saponins which are known to have both anti-cancer and anti-aging properties. Studies are being done with promising results that these phytonutrients may be a strong force in eliminating cancer causing free radicals from the body and to slow the degeneration of cells that may to lead to degenerative diseases. Researchers have studied the jackfruit and and have found that a single serving contains roughly 10% of the daily requirement of potassium.. Potassium is considered one of the most important components that regulate blood pressure. It is known that the proper amount of potassium is needed to control the correct amount of sodium in the body. If the body has a potassium deficiency, sodium levels can spiral out of control which leads to damage to the heart and arteries. Potassium is also responsible for coordinating and maintaining muscle function which also includes the heart. Potassium helps to balance electrolyte levels. The potassium found in jackfruit helps to maintain an ideal blood pressure and therefore reducing the risk of stroke and heart attack. The jackfruit has many health benefits but there are some side effects on health that may affect some who eat the fruit. Jackfruit is known to cause an allergic reaction in people who suffer from birch pollen allergies. People who suffer from blood disorders may have an increase in coagulation. Jackfruit may inhibit sexual arousal, libido and vigor in men. Thank you so much for the info given to us….Godbless po & More power!